RACE1 is proud to introduce you to the Wave Cutter for NOVICES. As you know, the long-term success of your rowing programme depends on the quality of your foundation training. And single sculling has been shown time and again to be the ideal initial training regime for rowers. However, encouraging novice scullers is demanding. They tend to be hard on your equipment and require a little nurturing before their confidence and skills kick in. and COMPETENCE on the water, FAST. 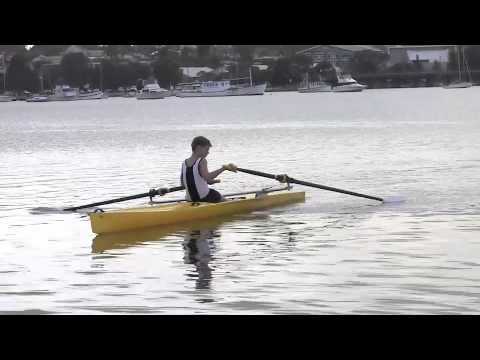 RACE1 Australia is proud to introduce you to a NEW type of scull design. A shell designed specifically for nurturing scullers from those first nervous strokes through to confident, relaxed oarsmen and women. Stability: The new RACE1 Wave Cutter is hand-made to a Race1 boat shape, giving it excellent stability for skills development. But the self-draining cockpit and it’s revolutionary construction are what makes it a world first. Self-draining: Thanks to a patent-pending design, the Wave Cutter features a revolutionary self-draining cockpit for all-weather rowing. Yet the seating position is conventional. Durable hull: It has an unbreakable hull made of the toughest material ever used in scull manufacture. Yet it is lightweight and maneuverable. 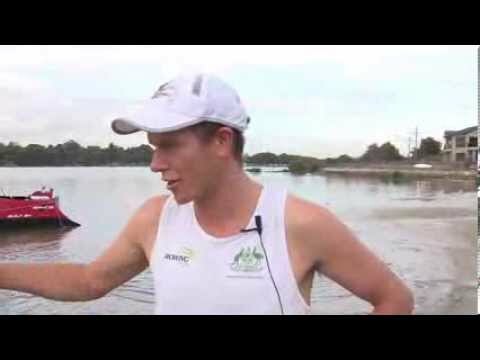 They develop blade-technique & balance faster than traditional sculls due to the boat’s stable hull shape. They will glide through wash and waves thanks to the self-draining cockpit! 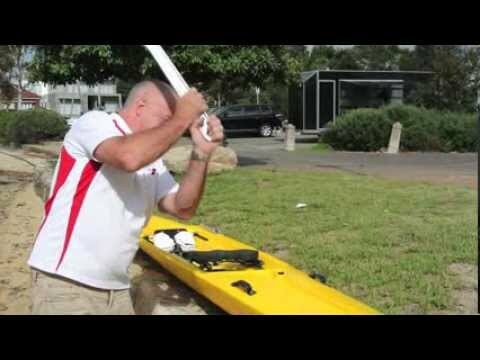 The 100% Australian-made hull of the Wave Cutter is hand crafted in Australia from high-density polyethelyne, a type of plastic used in medical applications due to its superior resistance to wear and impact. Technical breakthrough: Our engineers have found a way to use ultrasound to measure and control hull thickness to within fractions of a centimetre. This allows us to create an unbreakable RACE1 shell with the low weight of more fragile traditional hull materials. For novice and intermediate rowers, the Wave Cutter will provide a competitive platform for competition. The increased stability of a Wave Cutter means most novices are able to row faster - with greater ease, confidence and enjoyment. We believe this boat will become the benchmark for foundation training in Australia and beyond. Why not book a test row today and experience the design breakthrough for yourself? Naturally the Wave Cutter comes with the RACE1 Triple Warranty (see our website for details). Fleet purchase discounts apply – please enquire for more information. If you are still on the fence, have a look at our demonstration videos showing the boat’s performance characteristics on the water - and our famous RACE1 ‘DROP TEST’. 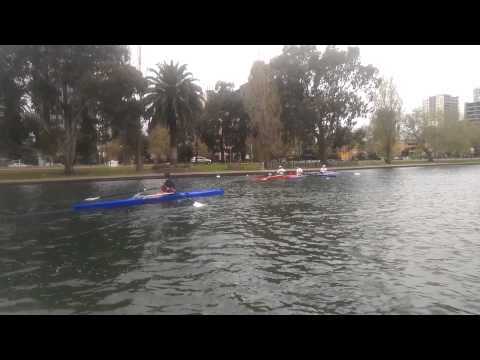 Brighton Grammar- the worlds first football game on the water in Race 1 WAVECUTTERS! “It’s rewarding to work with Al at Race1, and over the years we’ve had some very fruitful collaborations. While innovation in rowing is evolutionary, Race1 makes it revolutionary!